It is heartening that the political scene in Singapore has taken a change for the better. The people are getting less apathetic than before and actually taking an interest. Gone are the days where despite the Constitution stipulating that the Elected President having powers albeit restricted somewhat, to carry out certain tasks and duties, the Elected President more often than not, chose to just cruise by. We now have a fresh batch of presidential candidates to ACTUALLY want to execute these powers to ACTUALLY do something for the people of Singapore. Here's the million dollar question or rather four million dollar question or less, subject to recommendations of the ongoing president and cabinet salary review. Do you seriously think for a moment that it will ACTUALLY happen? I am not saying that the eventual president will renege on his promises but rather I feel that perhaps the Gahmen will pull another "Ong Teng Cheong" to cockblock the president one way or another. "Better be a good boy and go play your charity golf. Arh bor, later no state funeral for you, then you know." Following that train of thought, it would mean that at the end of the day we will have yet another Elected President who accomplishes nothing. Does that mean that we shouldn't be bothered to vote for our next Elected President? The answer to that question for myself is NO but my reason may be ridiculous to some of you but alas, I am penning this in jest. I'd go for the cheapest president. One that would cost the taxpayers the least amount of money. How is that possible since there is no salary negotiation involved for this position. Well, Mr Tan Kin Lian has declared that he will donate more than half the salary accorded to the president if he is successfully elected. That would make him the cheapest president to hire at the moment since the other candidates have not touched on this topic. Sidenote: Yes, with that donation, Mr Tan will enjoy a substantial amount of tax rebate. I wonder if that would be donated as well? So for someone who will be on the taxpayers' payroll for doing possibly nothing of significant value, wouldn't the one that cost the least be the best candidate? 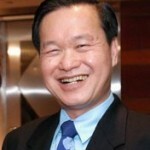 Tan Kin Lian for Singapore Elected President 2011?